against V&M Yamaha riders David Jefferies and Iain Duffus. Today, Joey remains the most successful rider ever at the Ulster Grand Prix with 24 victories to his name. Sadly, the 1999 event was marred by the death of popular Coleraine man Owen McNally, who was killed after a crash in the final race of the day while leading the 250cc race. 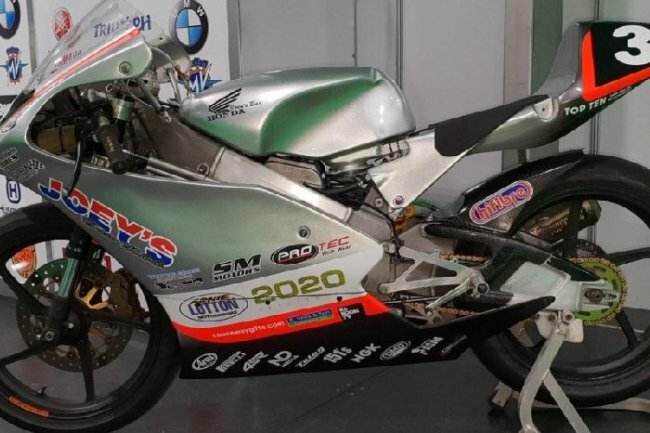 The new-look Joey’s Bar Honda and the TT legend’s Ulster Grand Prix-winning RC45 are on display at the Blackhorse Northern Ireland Motorcycle Festival at the Eikon Exhibition Centre in Lisburn at the weekend.